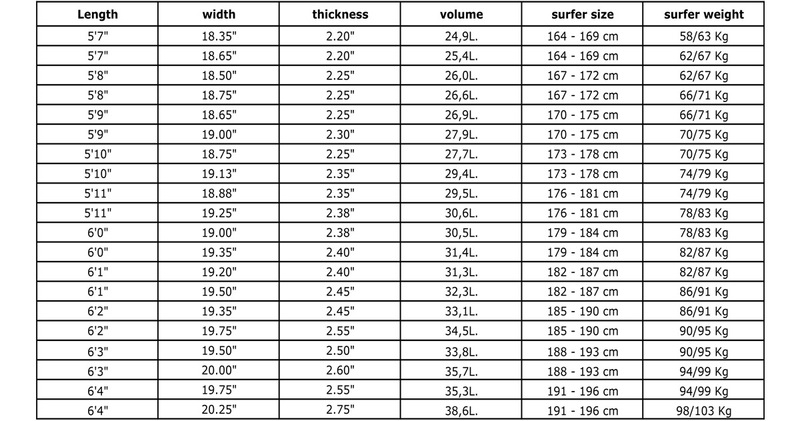 A reliable model for everything from 2ft. wind swells to 6ft. perfection.  Fairly wide and thick under the front foot, “supercharged” by a deep single concave running through the whole length, with the deepest part just between the front fins, this shape likes to be surfed hard on the rails. The key is the good balance between the pressure generated by the deep concave under the back foot, and the wider planning area under the front foot. 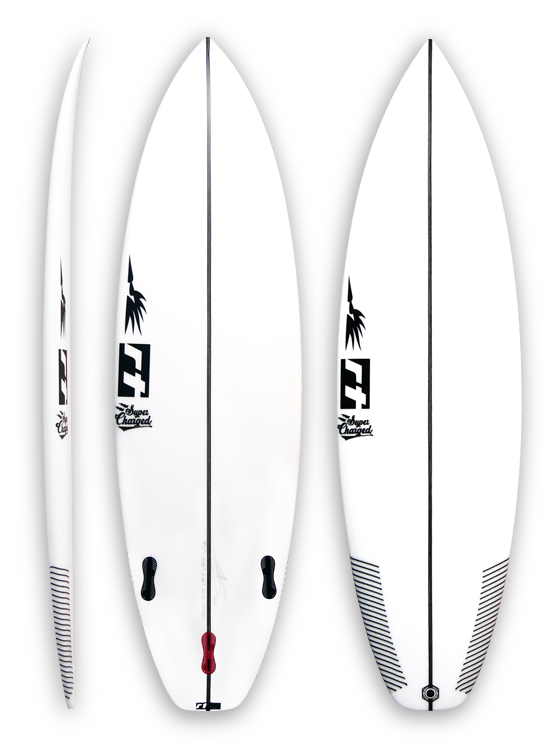 Put in the mix a moderate, continuous rocker and some forgiving rails and you get a deadly efficient shape, comfortable and predictable, delivering heaps of drive. moderate) curve toward both ends.